Portrait of a scruffy little chickadee. Black-capped Chickadees are year-round backyard residents and frequent visitors to our feeders. They seem to eat every kind of bird food – seed, suet and nut. From All About Birds: A bird almost universally considered “cute” thanks to its oversized round head, tiny body, and curiosity about everything, including humans. The chickadee’s black cap and bib; white cheeks; gray back, wings, and tail; and whitish underside with buffy sides are distinctive. Its habit of investigating people and everything else in its home territory, and quickness to discover bird feeders, make it one of the first birds most people learn. Cute. And tough and fearless. Chickadees remind me of those little dogs that think and act like big dogs. 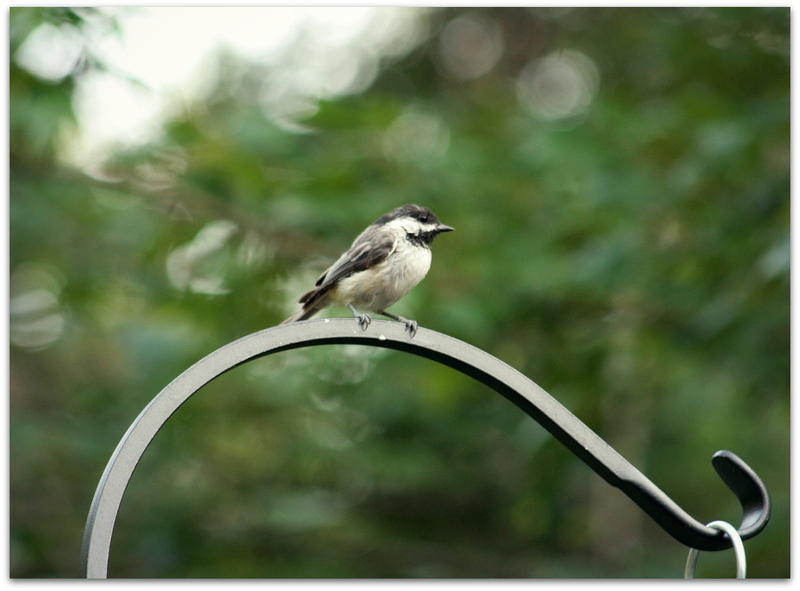 This entry was posted in Uncategorized and tagged backyard birds, Black-capped Chickadee on July 7, 2014 by Amy.